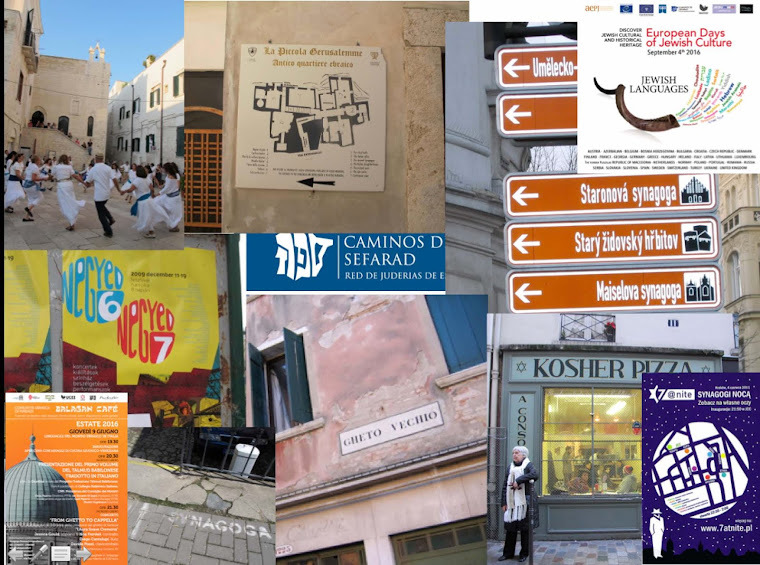 There is an interesting essay in Jewish Ideas Daily about ebbs, flows and other "dilemmas" in Jewish-themed tourism, written by Alex Joffe, who is described as a research scholar with the Institute for Jewish and Community Research. He starts from considering the archeological remains of an ancient synagogue in Albania, excavated as a potential tourist site seven or eight years ago, but now languishing and all but abandoned. Tourism, he writes, "is not just a recreational and aesthetic experience for the tourist. It is a business, and as such it poses moral questions as to the specific experiences that are bought and sold." 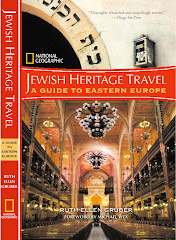 Some of the issues he raises are among those I discussed both in the introduction of Jewish Heritage Travel and in the chapter on Travel in Virtually Jewish: Reinventing Jewish Culture in Europe. Such as the role of actual living Jewish communities in far-flung places, and whether or not visiting Jewish heritage sites entails any particular responsibilities or sensitivities. Even among the dead, the ethical questions are real, and the ironies are evident. While Albanians had hoped to use their commendable historical story to draw tourists, their synagogue now languishes and decays. Meanwhile, Nazi concentration and death camps, above all Auschwitz, are sites of pilgrimage and remembrance—and a source of significant tourism revenues to Germany and Poland. Why go one place rather than another? Albanians saved "their" Jews—are they owed something in return by Jewish tourists? Or should Jews instead visit Germany and Poland, to keep the Jewish histories of those countries from falling victim to the Nazis, to rebuild Jewish life, or even to offer prayers at cemeteries? The scale of the problem is overwhelming, as there is no end to Jewish heritage sites. Everywhere Jews lived, they left behind schools and synagogues, dwellings, markets and factories, and cemeteries. Few of these sites are beautiful. Proportionally, sand-floor synagogues in Curaçao are vastly outnumbered by destroyed or usurped synagogues in Ukraine or Belarus. And everywhere there are the cemeteries, mass graves, and other assorted killing fields—overgrown and forgotten, ploughed up, or routinely desecrated. Another responsibility thus looms, to preserve the dignity of the Jewish dead. But the synagogue of Onchesmos deserves to be seen—and not only by Jews. After all, remembering that Jews were a vital part of the Mediterranean world is, if nothing else, important to understanding that they remain a living part of that world today. Archeologists have responsibilities as well, not only to preserve the remains but to present them in such a way that they become at least a small part of the living present. Otherwise they should be left in peace. I'm not sure that I find the questions and challenges (if they are really questions and challenges) he brings up mutually exclusive. There is no "should" entailed in where anyone -- Jewish or not -- chooses to visit. Jewish heritage places are interesting and important in themselves -- in different ways. Each one tells a different story, though, of course, some of the stories are related. But it seems besides the point to make it seem an ethical choice -- or to pose it in terms of making it an ethical choice -- as to whether you will visit Auschwitz or the excavated ruins of an ancient synagogue in Albania. This is a nice piece. It kept me thinking about the issues you've raised and how tourism plays a significant role in Jewish heritage.